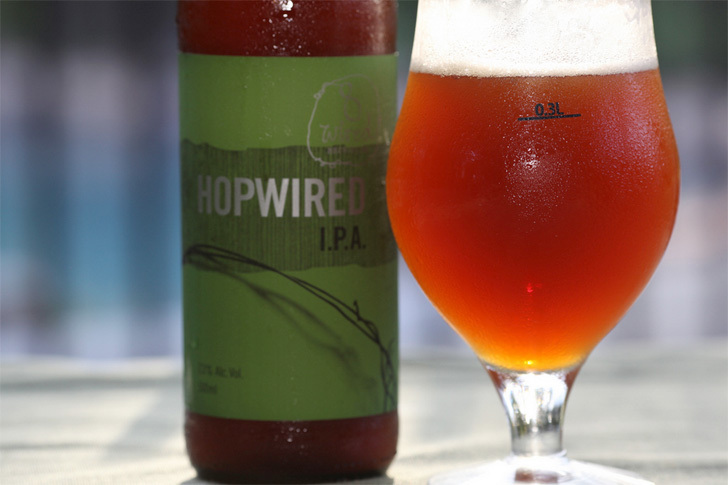 New Zealand produces some of the most unique hops on the planet, which is causing a surge in popularity with craft breweries around the world as they look to implement the resiny fruit flavours to various beer styles. Some will even go as far as saying that the big flavours of New Zealand hops have more 'finesse' than their 'brash' American counterparts. Rather than the citrusy and pine-like flavours you get from many American hops, New Zealand hops are known to produce something more like a tropical punchbowl: Passion fruit, limes, oranges and Sauvignon blanc grapes (gooseberry flavours). 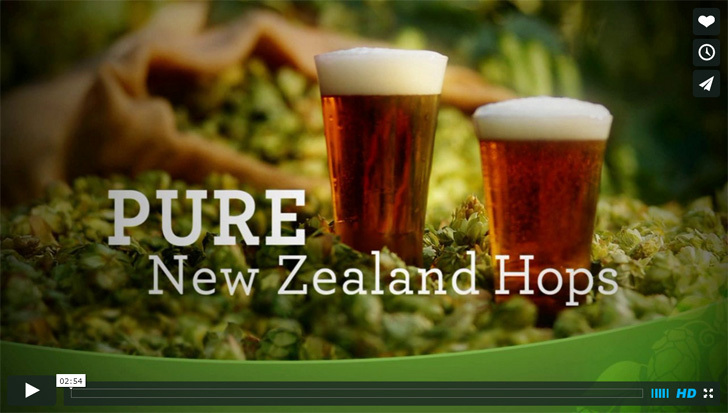 The hops grown in New Zealand are not native; they were introduced and developed basically since European immigration in the early 19th century. The majority of Kiwi hops (at least traditionally) have been bred to contain a high level of alpha acid, presumably to maximize land efficiency at a time before the use of late hops and dry hopping, at least to the levels currently seen in many modern interpretations of classic styles. Nelson Sauvin: The essential oil profile displays "fresh crushed gooseberries", a descriptor often used for the Sauvignon blanc grape, giving rise to this variety’s name. Nelson Sauvin has the unique ability to impart a distinctive cool climate white wine “fruitiness”. Requires judicious application in the brew house as the fruitiness may be a little overpowering for the un-initiated, however those with a penchant for bold hop character will find several applications for this true brewer's hop. Quintessentially New Zealand. 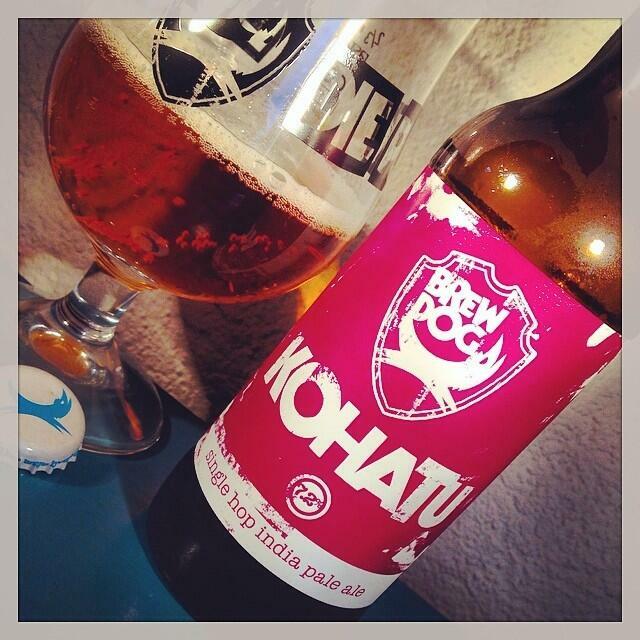 Kohatu: A big aroma hop with intense floral characters of pine needles, tropical fruit, and plenty of lime. Kohatu is a touch subtler than most other NZ varieties. The rounded flavour is also earthy and has been described as coming from a more European than American background. Lately it seems I've only been making very dry / light coloured American IPAs and double IPAs such as Bell's Two Hearted Ale, Russian River Pliny the Younger, and Stone 'Enjoy By' IPA, to name few. These are all beers where the predominate malt is usually lightly kilned domestic 2-row malt, with very little specialty or crystal malt, mashed on the lower end of the spectrum (145-150F). The end result is a dry beer with little malt flavour, something to let the hops shine through. For this recipe I thought I'd try something a bit different, similar to what many of the commercial IPA producers are doing with the New Zealand focused IPAs: Stick with an American style IPA, but add a touch more malt depth to it. To accomplish this, I used higher kilned Maris Otter malt as the base malt (nearly 97%) with just a touch of crystal malt in the 30-40L range for a bit of sweet mild caramel flavour and increased golden colour. 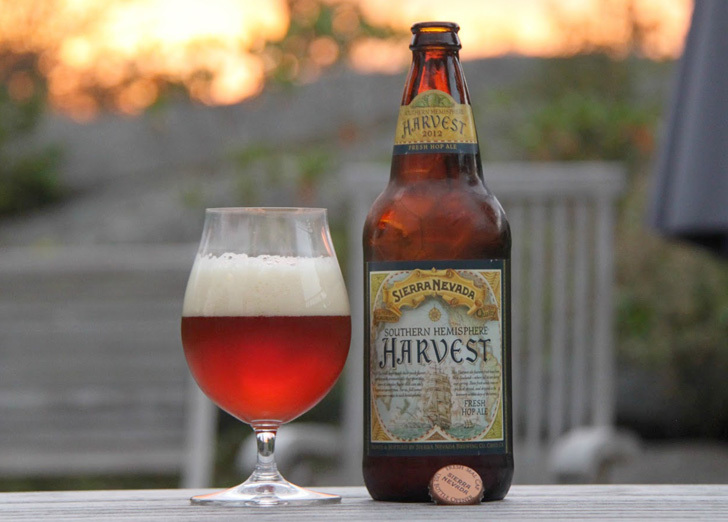 Although there's more of a malty backbone than many American IPAs, this beer is still all about the hops. 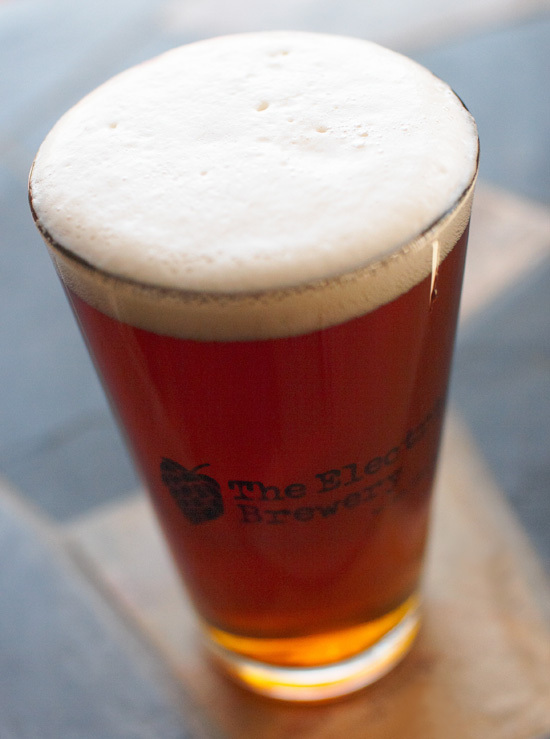 Even though English malt is used, an English IPA this is not. The hoping rate and yeast make this distinctly an American style. As the boil tun fills with wort (which may take a half hour or longer), the hops steep in the hot wort and release their volatile oils and resins. The aromatic oils are normally insoluble and tend to evaporate to a large degree during the boil. By letting the hops steep in the wort prior to the boil, the oils have more time to oxidize to more soluble compounds and a greater percentage are retained during the boil. A blind tasting among professional German brewers determined that the use of FWH resulted in a more refined hop aroma, a more uniform bitterness (i.e. no harsh tones), and a more harmonious beer overall compared to an identical beer produced without FWH. I first brewed this on February 17, 2014 (batch #170). Brew up a batch and let me know how you like it! *First wort hops are added to the boil kettle while you're sparging (before the wort is boiled). For IBU calculations, first wort hopping is said to be similar to a 20 minute addition. 1.25 qt/lb mash thickness. Single infusion mash at 152F for 90 mins. Mashout to 168F and hold for 10 mins. 60-90 min fly sparge with ~5.6-5.8 pH water (measured at mash temperature). Collect 14.4 gallons in the boil kettle. Cool wort to 66F and aerate well. Ferment at 66-68F until complete. Dry hop for 5-7 days. Rack to a CO2 purged brite tank (secondary), crash chill to near freezing (if possible), add 1 tsp of unflavoured gelatin dissolved in a cup of hot distilled water per 5 gallons of beer, and let clear for 2-3 days. I can only imagine how wonderful it smells in such a packaging facility! Looks awesome, can't wait to try this. I love those tropical aroma hops! How long does it take on your system to raise the temp of the mash from 152 to 168? I don't have your 5500W element installed yet, so I haven't seen what this kind of power can do. The rise takes forever with my 3500W induction. There's about 10 gallons of water in my HLT btw. I'm finding I need to add additional boiling water to the HLT to get the temp to rise fast enough to do the job. I'm considering upgrading my electrical supply to 40A so I can run both the 3500W induction with the 5500W coil. Any issues you can think of that might develop using induction on a kettle with an embedded coil? About 15 mins or so (using a 5500W element and brewing ~10 gallons). Rise time depends on batch size and amount of heat (watts) you're using. See the FAQ question "How long does it take to heat with electricity?" for complete details. Any issues you can think of that might develop using induction on a kettle with an embedded coil? Just brewed this today, can't wait to try it. This is my first batch using the 5500W element in combination with 1500 watts from my induction burner. The temp for 10 gallons in the HLT would rise 10 degrees in 2 minutes! I only have full power on and off control at this point, but I'm working on a version of your controller to run everything. Custom powdered in reflective amber! 1. FWH IBUs can be measured to be 110% of a 60 min addition. The majority of blind tasters also found it to be the most bitter. Separately, 5/6 testers choosing it as most hop character. These testers worked at Founders and were professional tasters. 2. Mash hops were measured at 35% of a 60 min addition. They were found to be the least bitter by large margin. However, there was a large discrepancy over most/least hop aroma using this technique. Other fun facts - the speaker uses an electric HERMS system much like ours (sounded like clone). The calculated vs actual IBUs were off by quite a bit. In the first instance, the recipe was aiming for 34 calculated IBUs, and was measured by lab to be only 19.6 in the control batch (no FWH or Mash hops). The second batch was aiming for 68 IBUs calculated and only hit 31.2 IBUs when measured by actual lab. Crazy. Our calculations on IBUs might be way off with reality anyway. I had always heard that a FWH was equivalent to a 90 min addition, but that perceived bitterness would be smoother. That might be closer to truth, but it was telling that blind tasters could tell the difference pretty well. Interesting info - thanks for posting! Hop usage/IBUs/flavours/aromas are highly debated topics. The science behind how it all works is actually not that well understood so even commercial brewers simply do what works for them. I brewed this one yesterday. Can't wait to taste it. I do have a question about hops quantities: I'm using Brewer's friend and they don't give me the same IBU rate, even when I use the exact recipe. My 3 hops doesn't have the same A.A. % than yours, maybe it's the reason. So I'm wondering if I should modify the hops amounts to reach the original recipe IBU? Or stick with the original amount and get (in my case) an higher IBU? 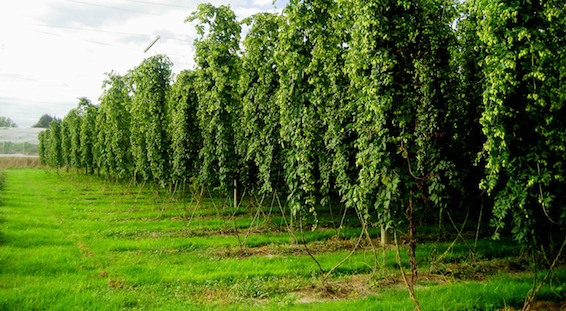 Hops will all have different AA%, from one hop type, to even the same hop type grown year to year or region to region. You should enter that in your brewing software to see what the resultant IBU will be as IBU is directly related to AA%. IBU is directly related to AA%, and IBU comes from the amount of contact time at higher temps (mostly boiling but you can still get a surprising amount of bitterness [IBU] out of steeping at high temps after boiling). What many (most?) brewers do (and what I do) is modify the amount of hops added for any bittering hops, but not for flavour/aroma hops. What does that mean? It means you need to alter the amount of hops only for hops boiled more than (say) 20-30 minutes. In this case I'd alter the 60 min hops but not the others. Anything boil for 20 mins or less (including dry hops) I never alter the amounts. If you want a higher IBU, then sure. Really depends on what you're after. If you want to mimic this recipe and brew what I did, I would only alter the 60 min hops. The others are not boiled long (10 mins or less) so I wouldn't bother changing the amounts. You'll never notice the difference given the small changes needed to the amounts. It's never an exacting science either. If the math shows that you need 6.87 oz of something I'll simply round it up to 7 oz for sake of convenience. Pro brewers who brew 100+ bbl batches do this all the time... "How many 50-55 lb sacks of grain do I need.... how many 200 lb bales of hops do I need... etc.". Thanks Kal, your informations are really appreciated. Brewing this on Sunday - using a bit of Calypso as well. I have been brewing on and off for the past 40 yrs and just got back into all grain (3vessel) brewing. I brewed 40 litres of NZIPA and I have to say it is the best beer I have ever made, great recipe. Most of the 40 litres has gone but I have another batch is currently in the fermentor. Hopefully my techniques are good enough to replicate the first batch. Next one will be the Munich Helles. Looking forward to it. Thanks Kal for the great website and recipes. I only drink beer when I am either alone or with someone. Glad you’re enjoying the recipe whistledown! Welcome to the forum!